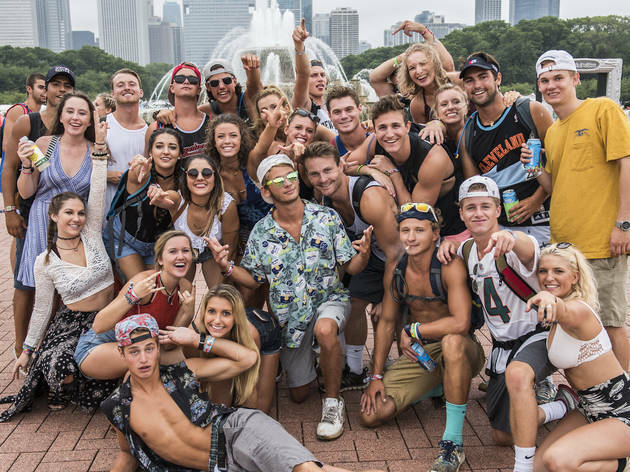 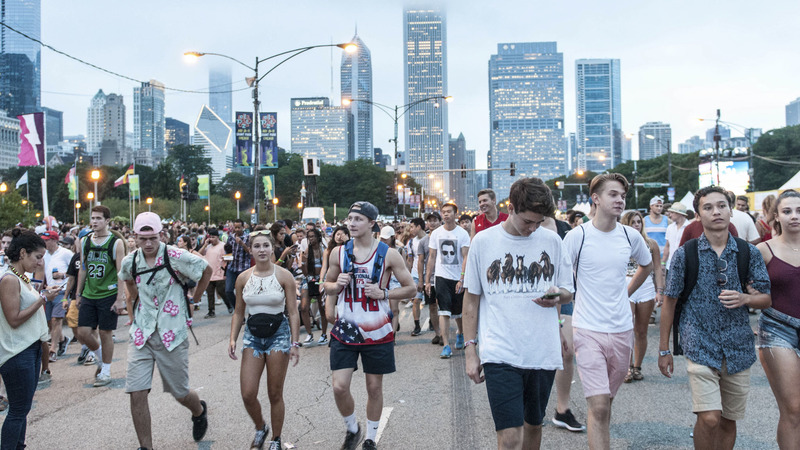 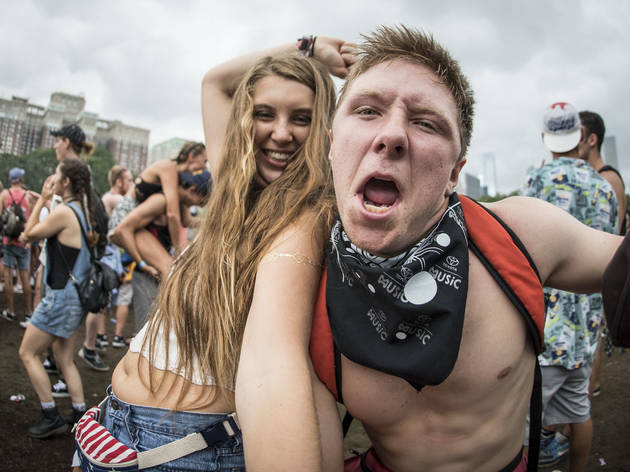 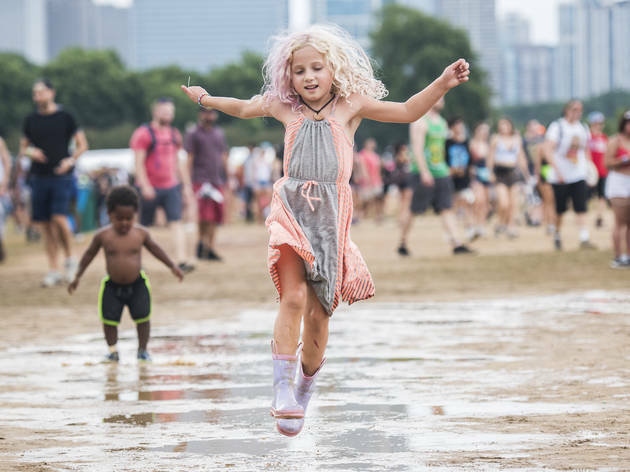 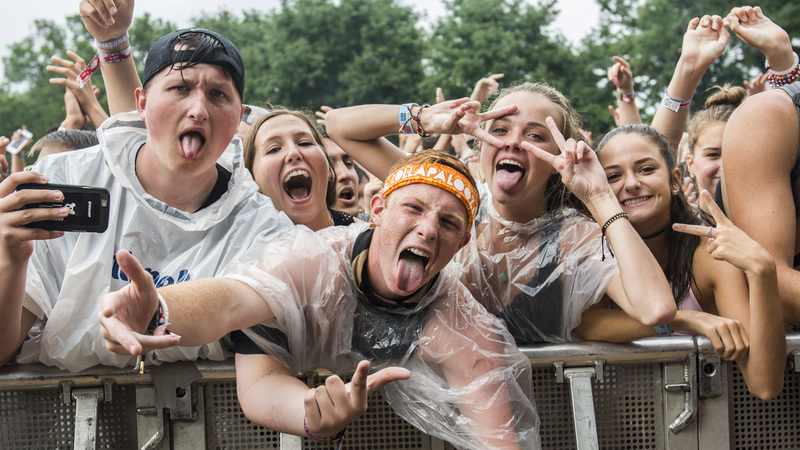 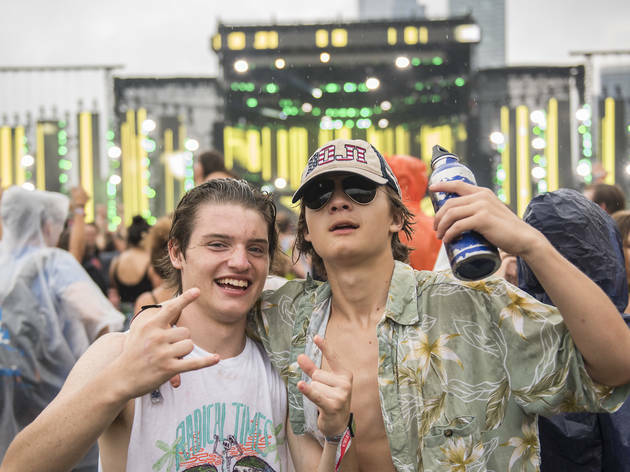 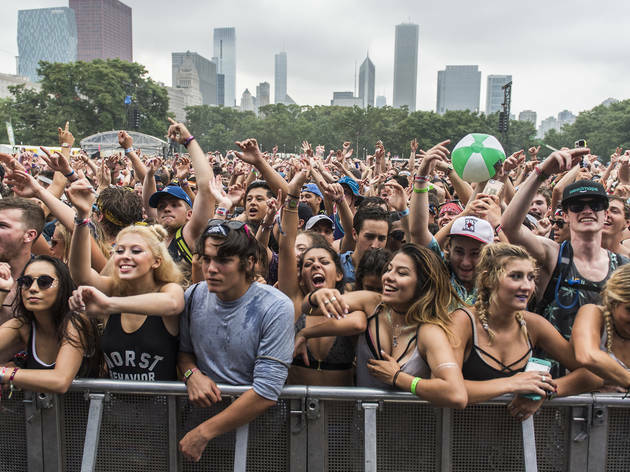 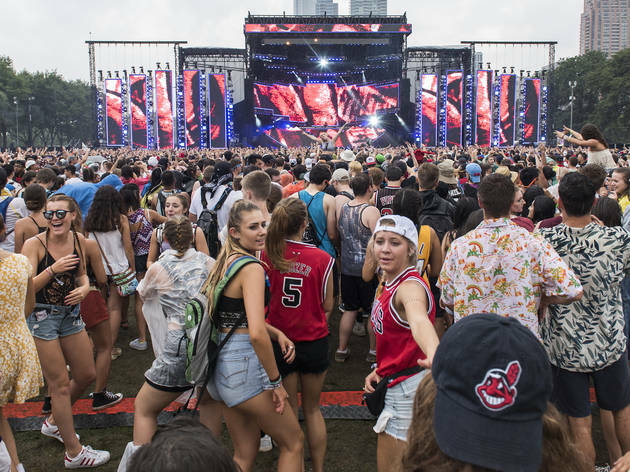 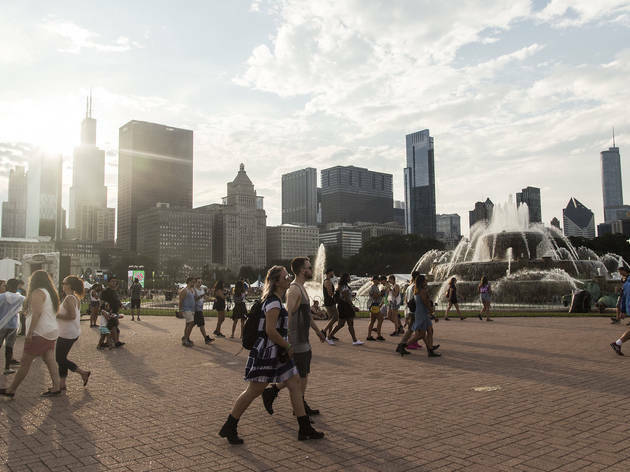 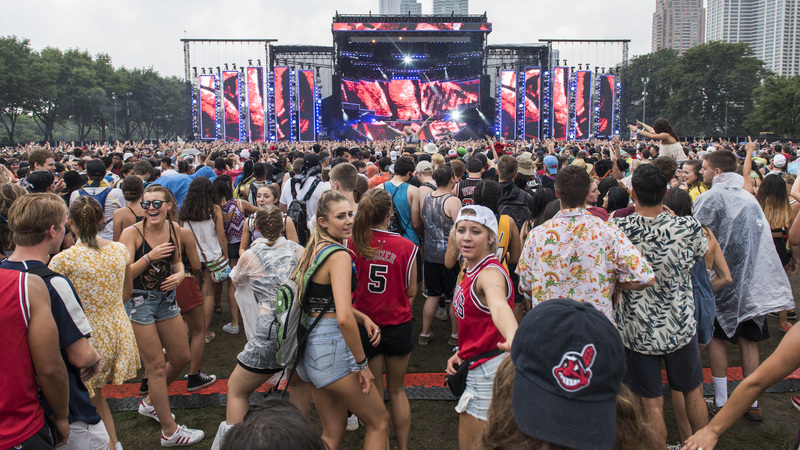 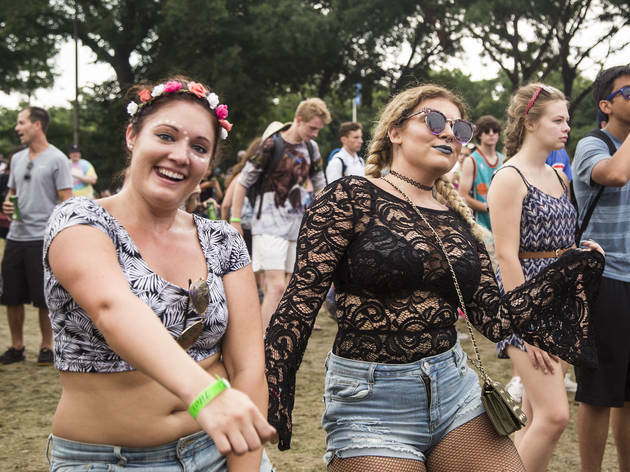 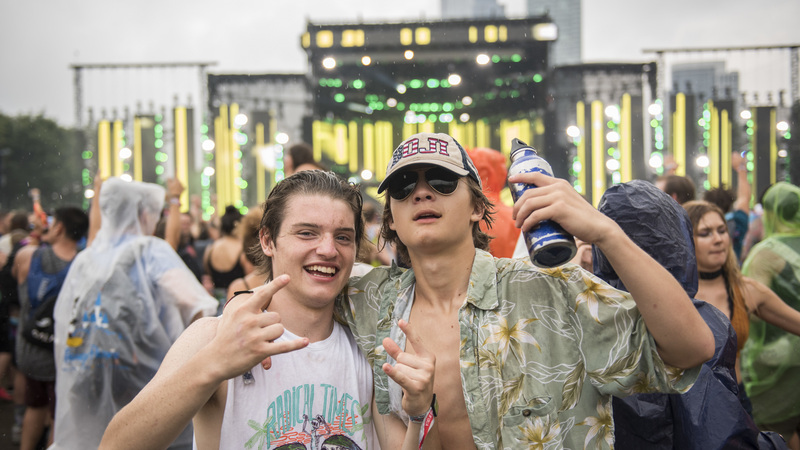 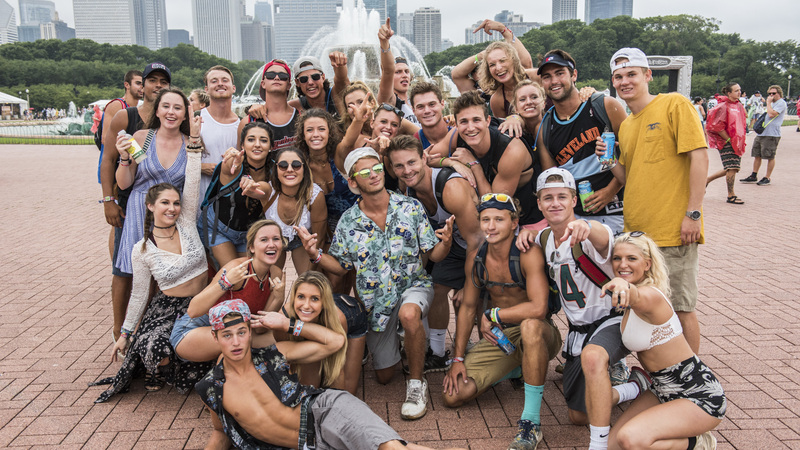 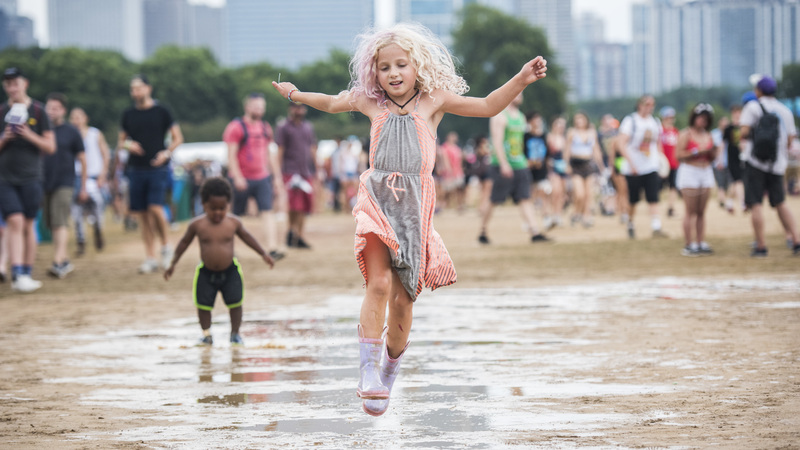 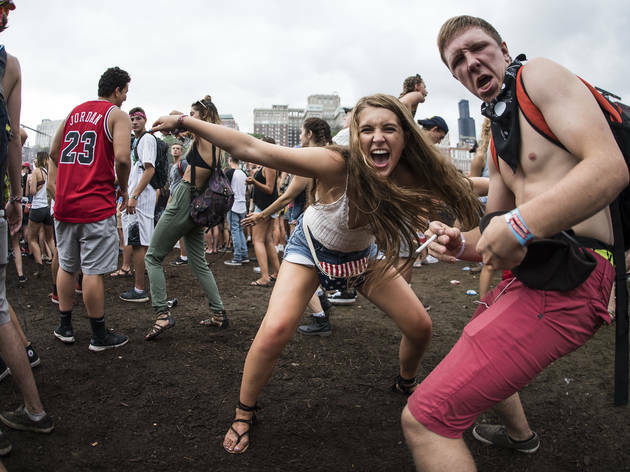 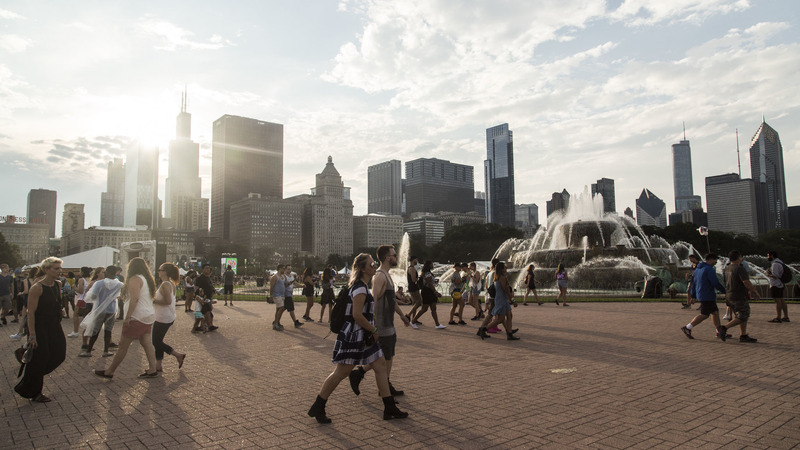 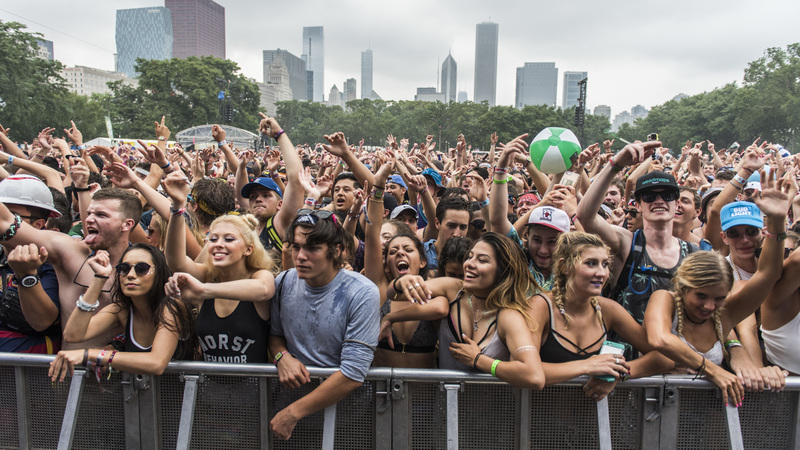 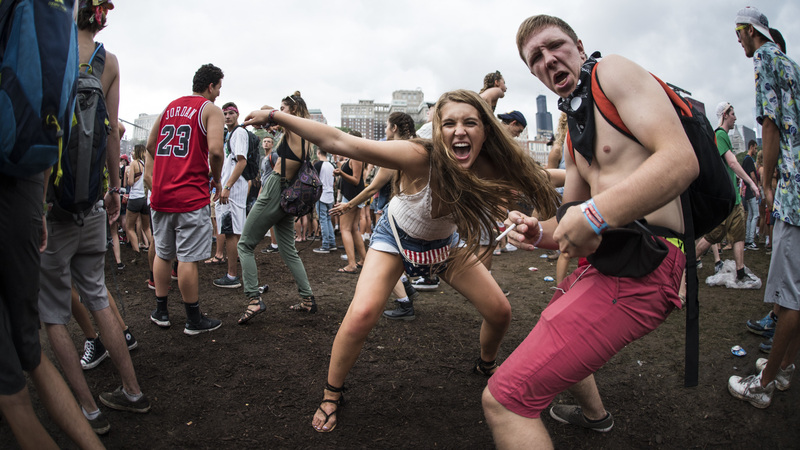 Puddles began popping up across Grant Park during Lollapalooza's second day, thanks to continued storms that sporadically soaked the festival grounds (and anyone without a poncho). 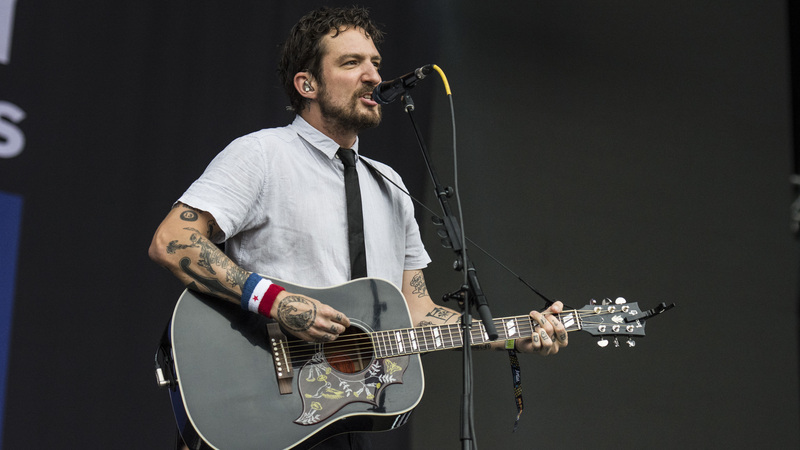 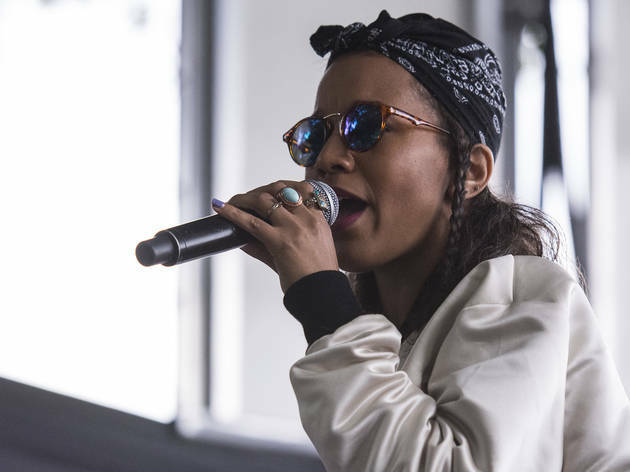 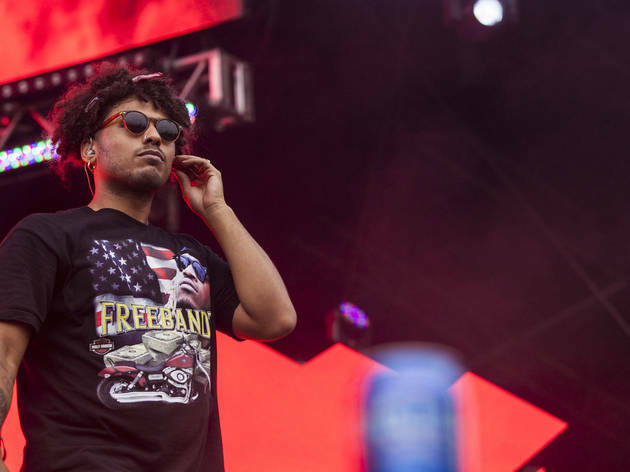 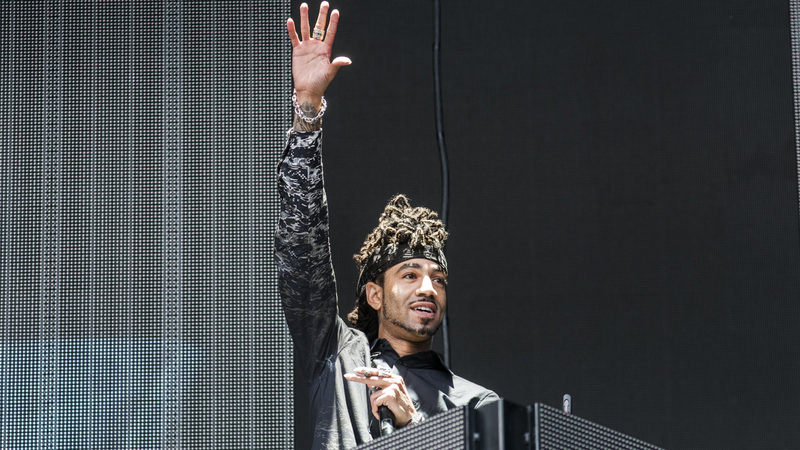 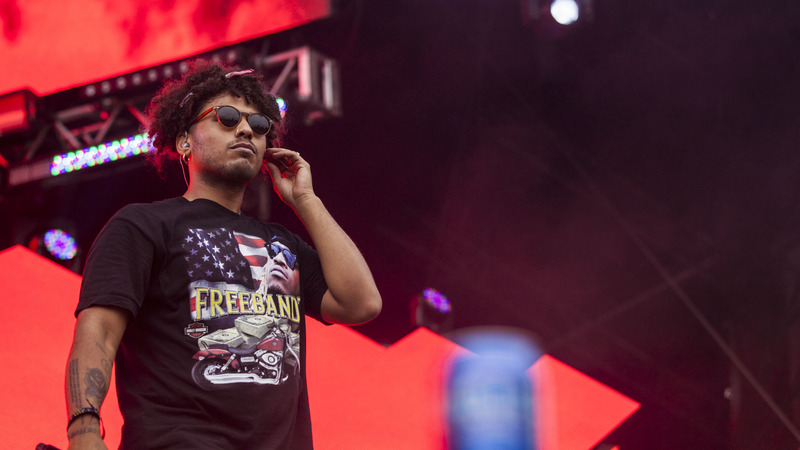 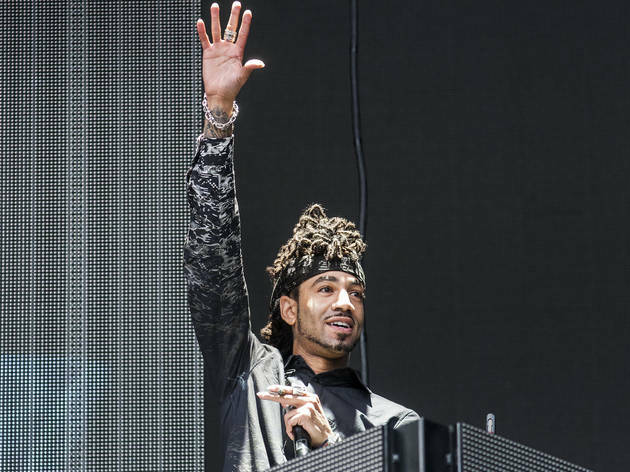 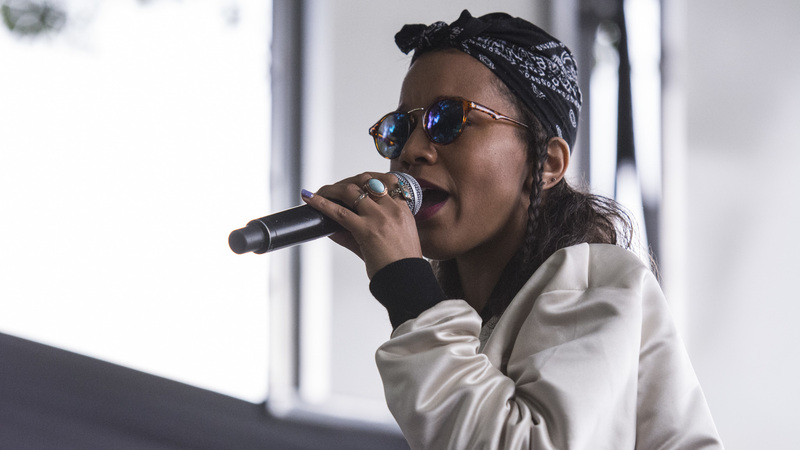 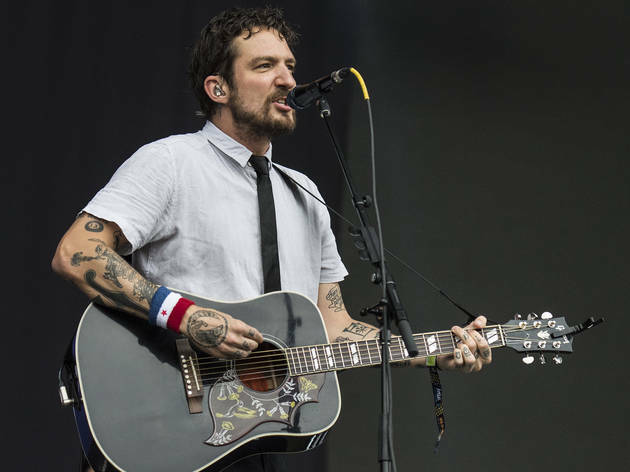 Plenty of people showed up to soldier through the damp conditions and were treated to another solid day of performances, including sets from Chicago emcee Joey Purp and Scottish rockers Frightened Rabbit. 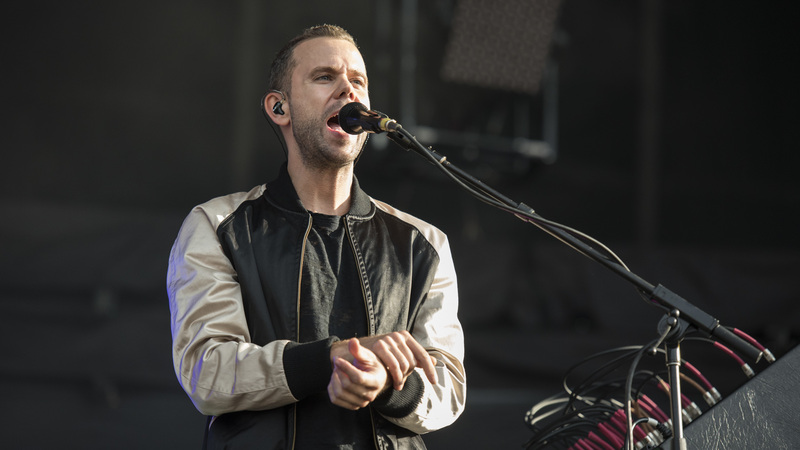 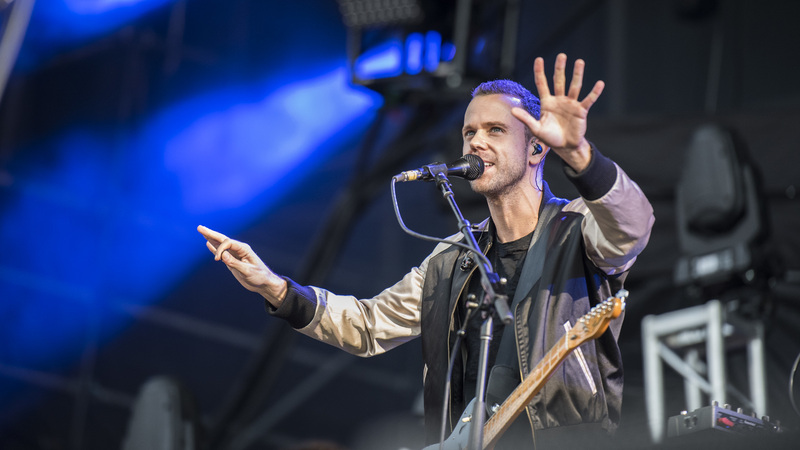 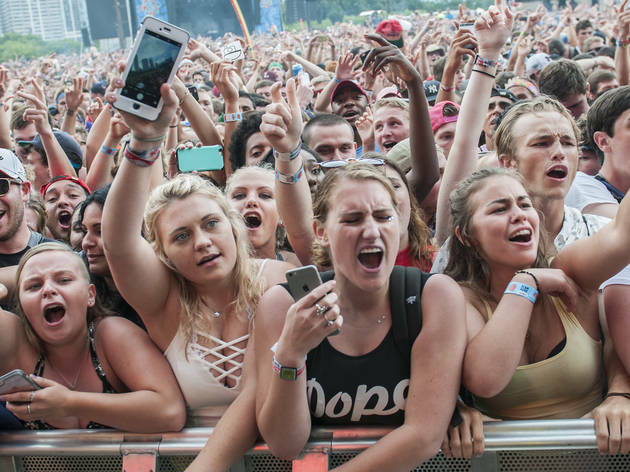 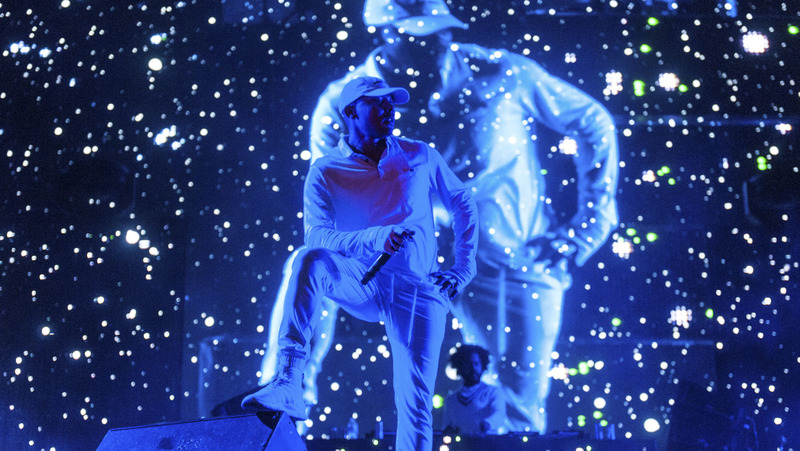 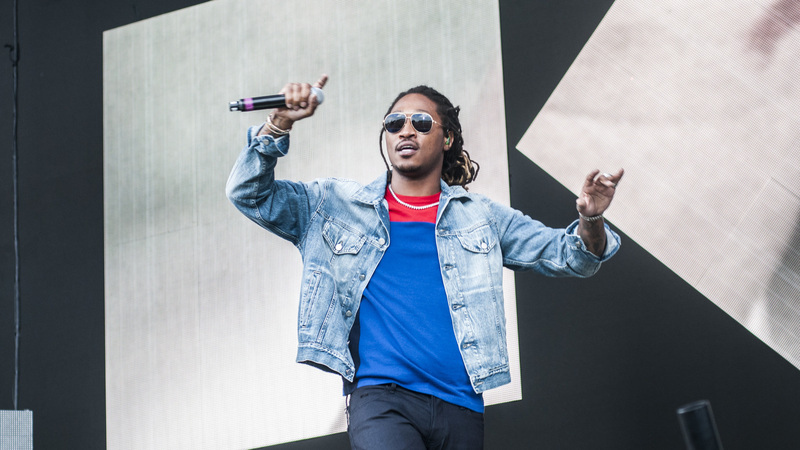 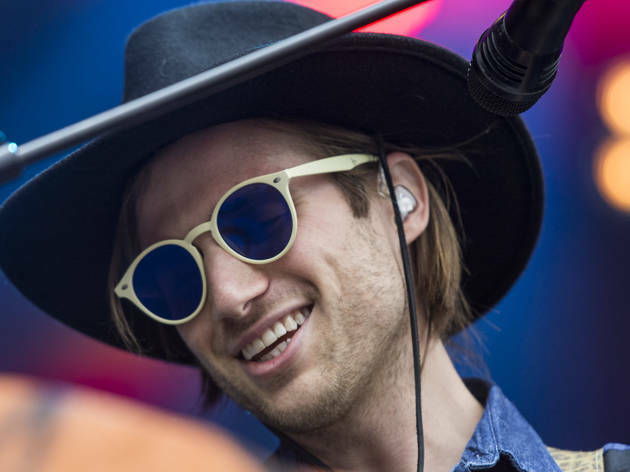 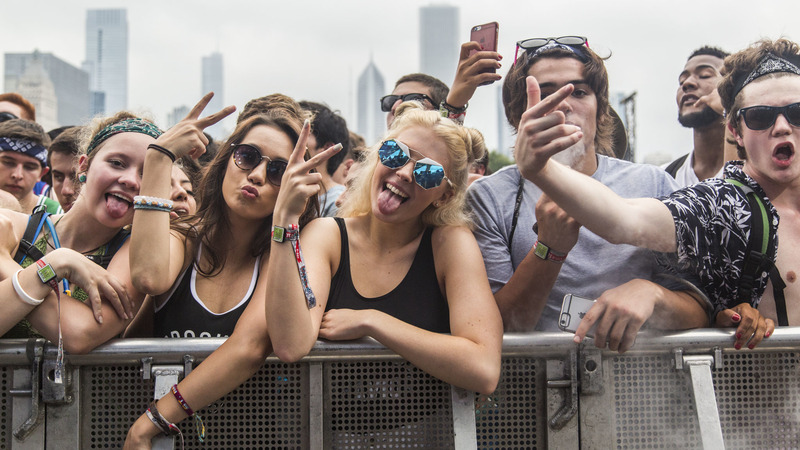 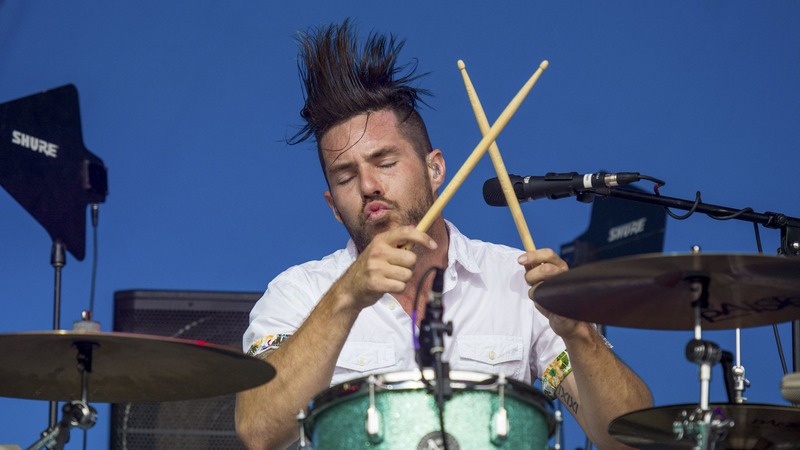 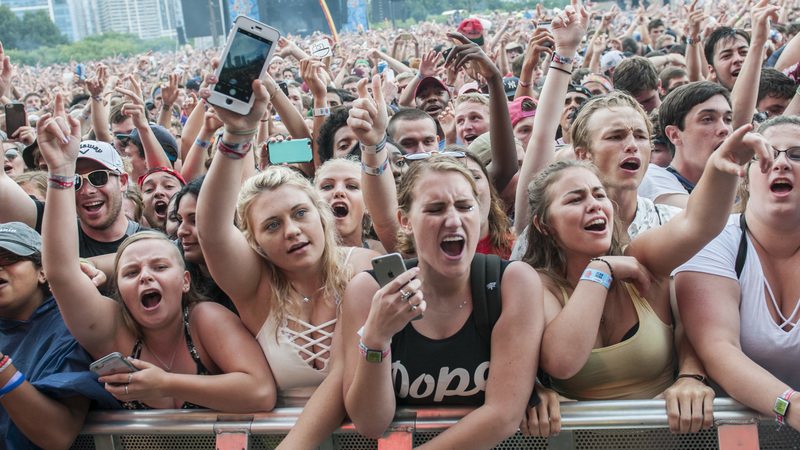 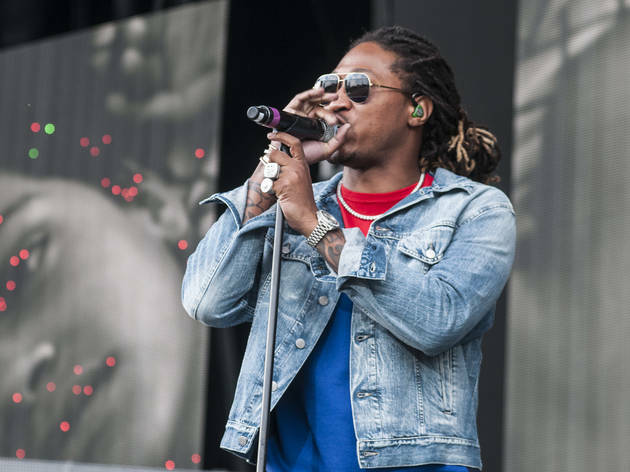 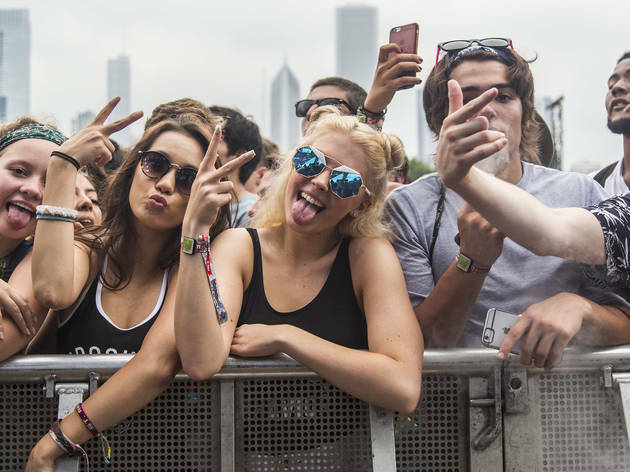 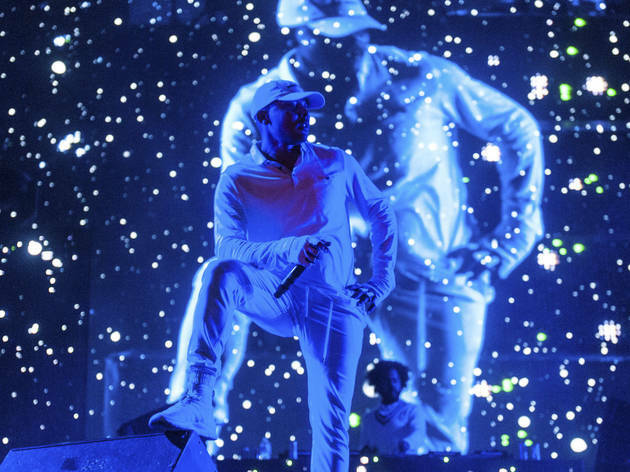 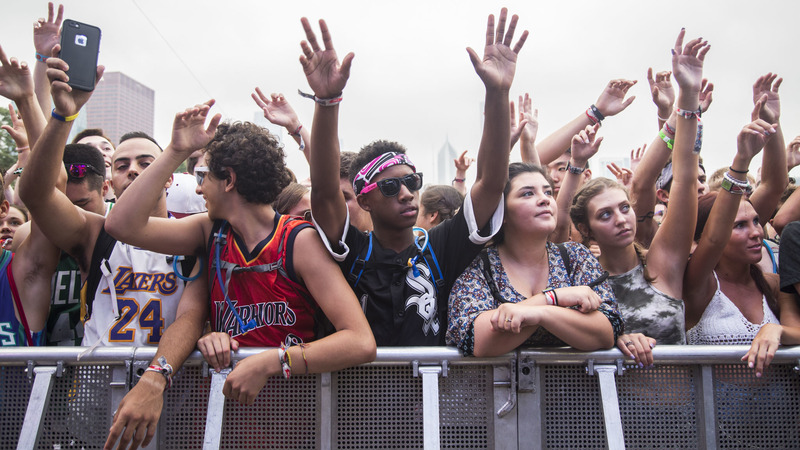 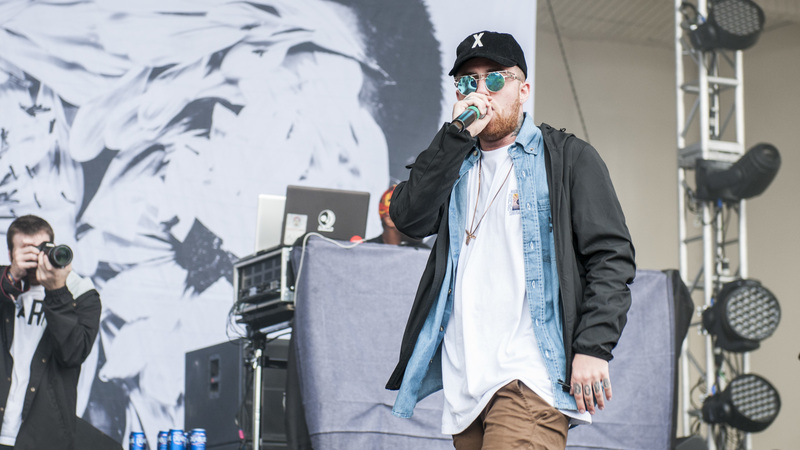 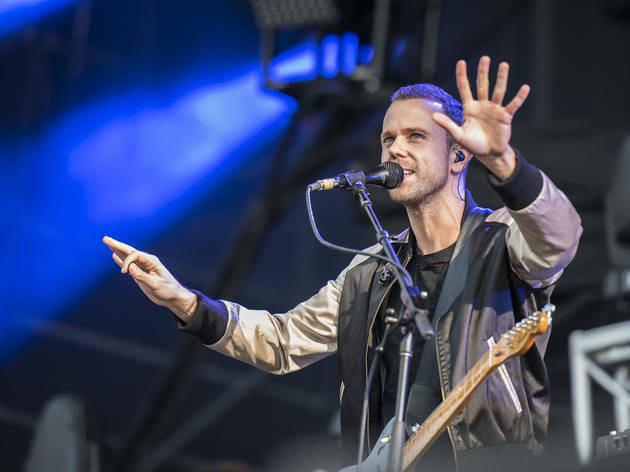 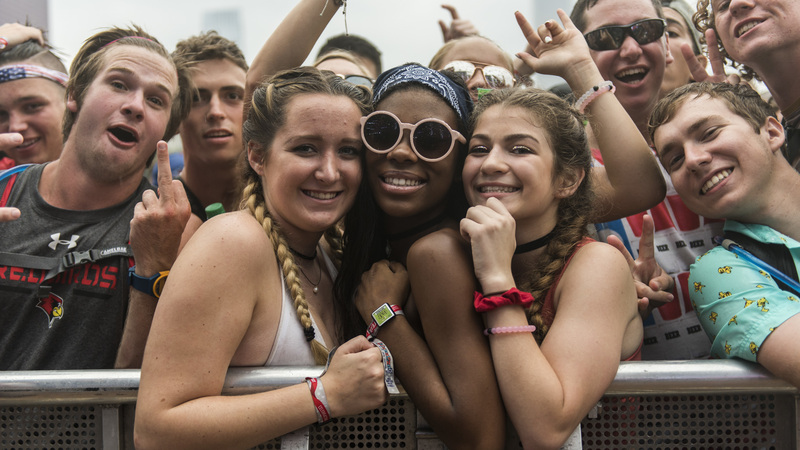 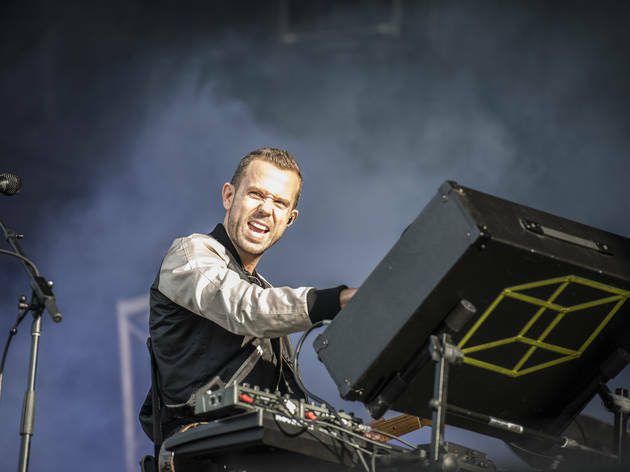 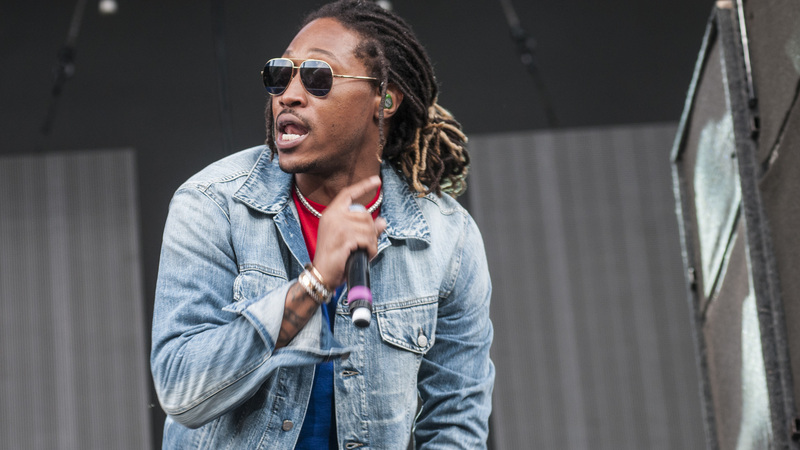 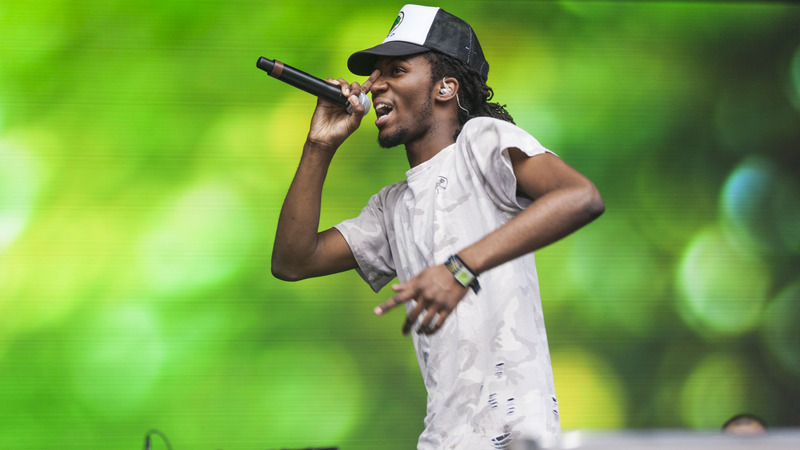 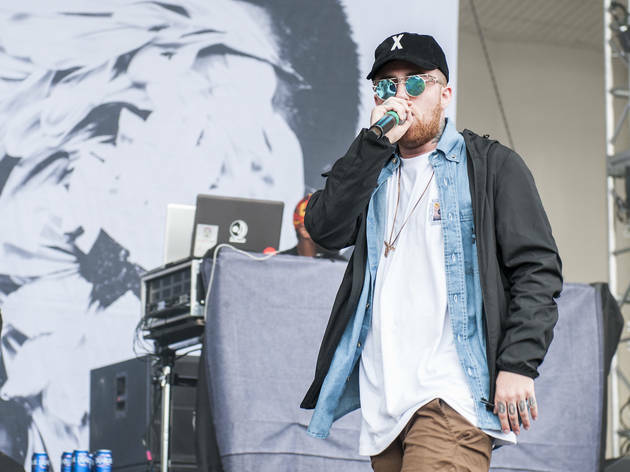 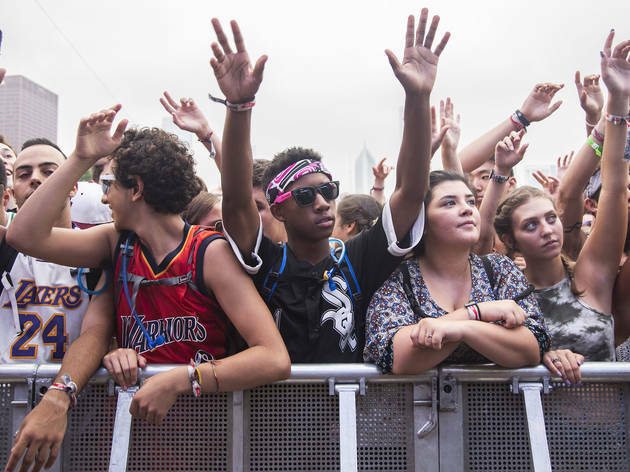 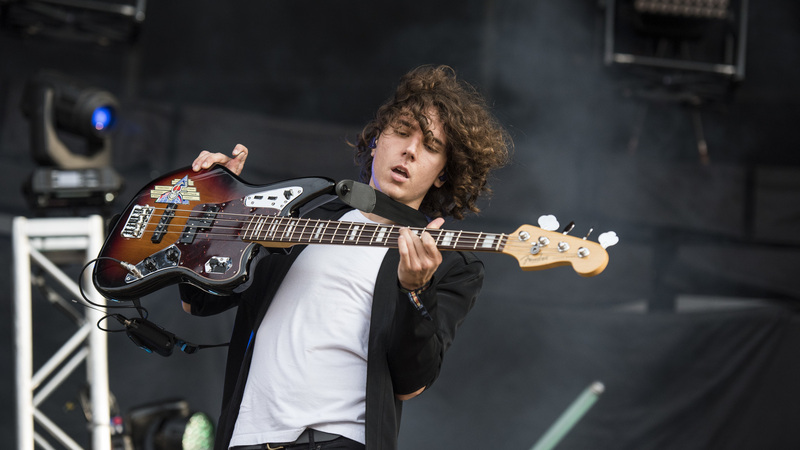 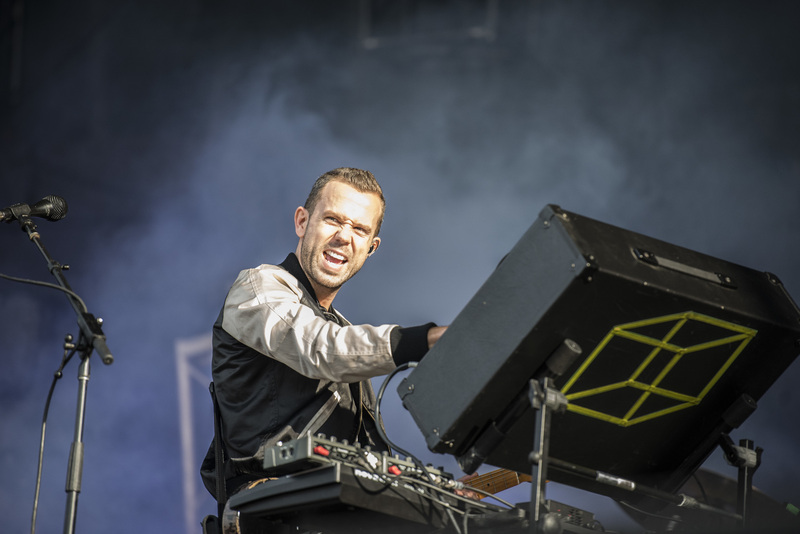 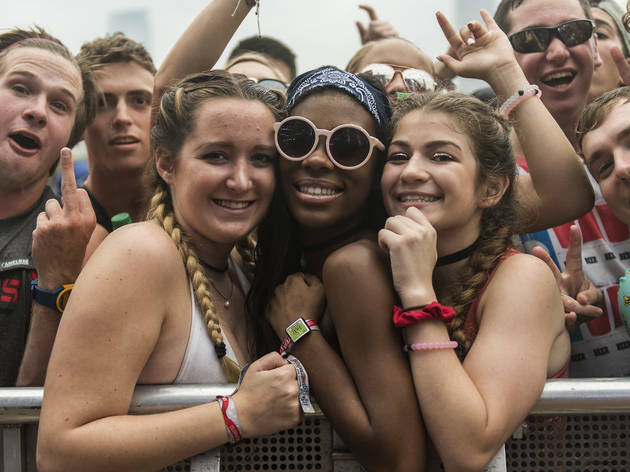 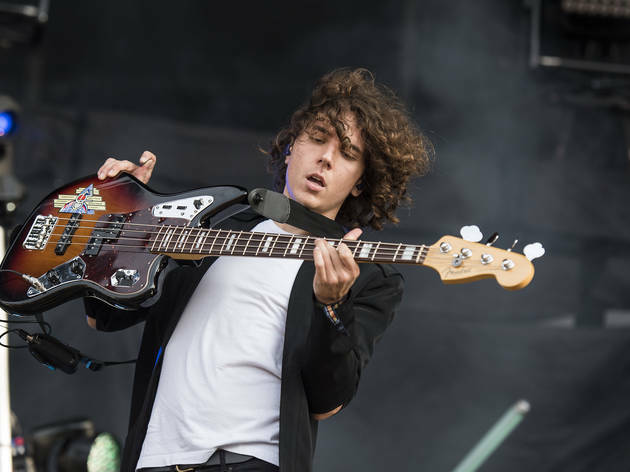 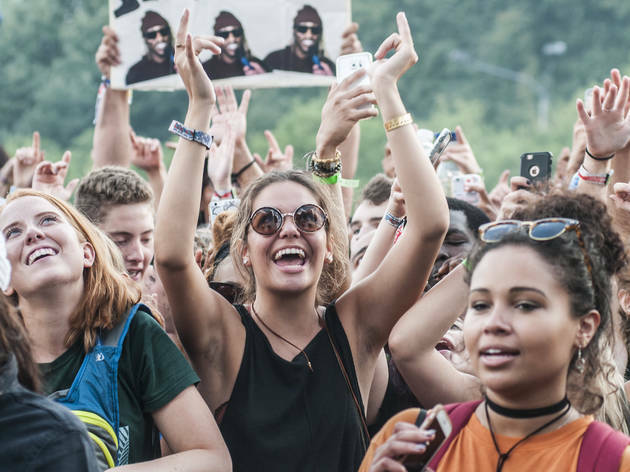 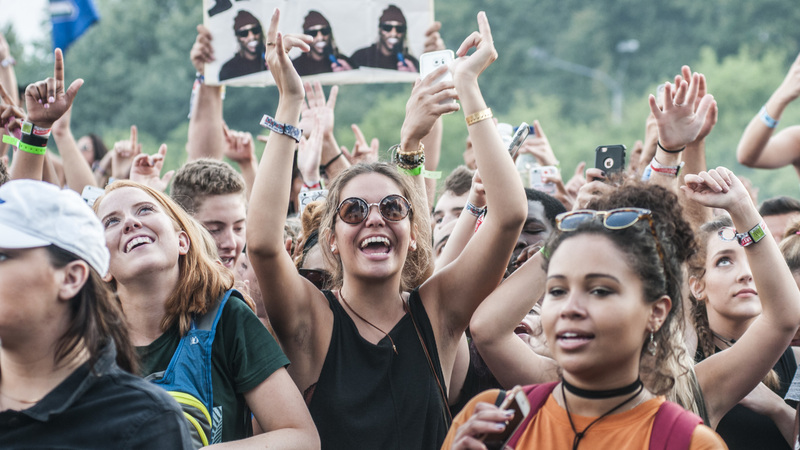 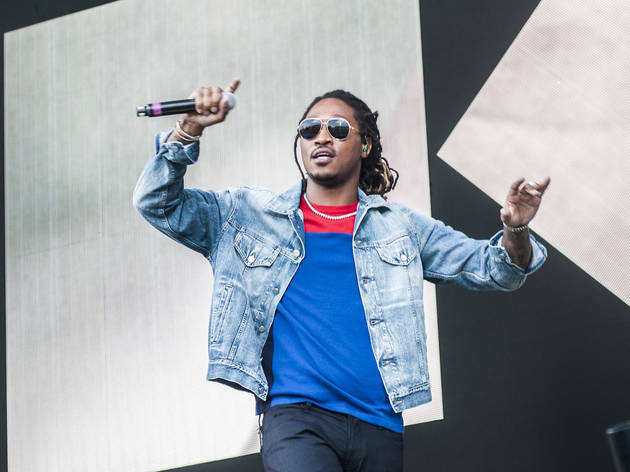 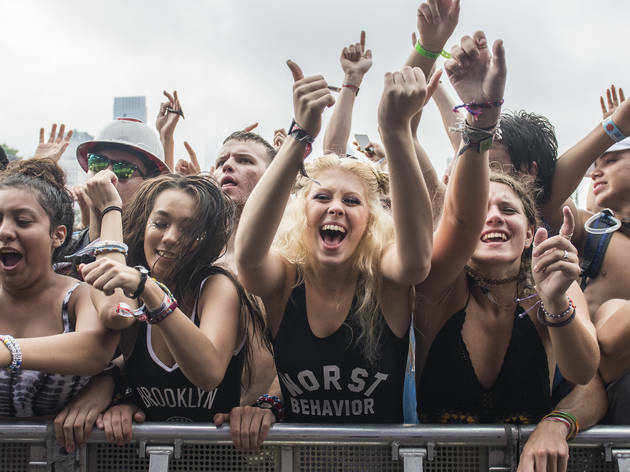 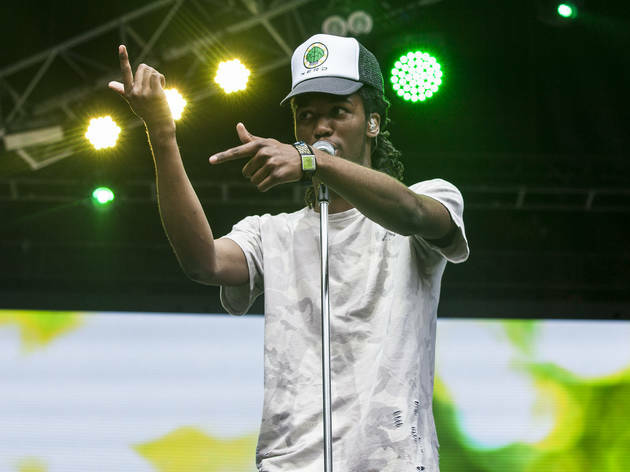 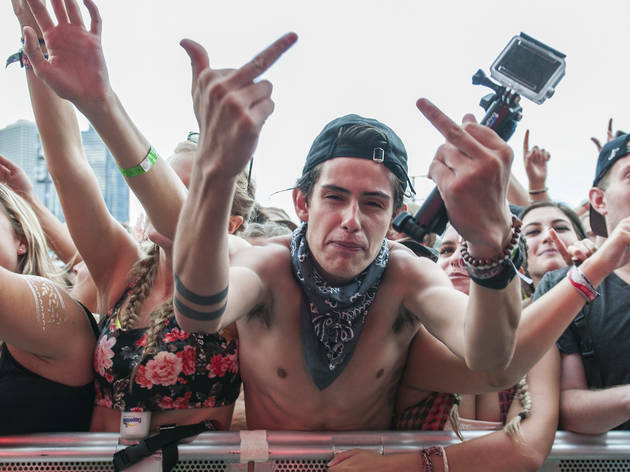 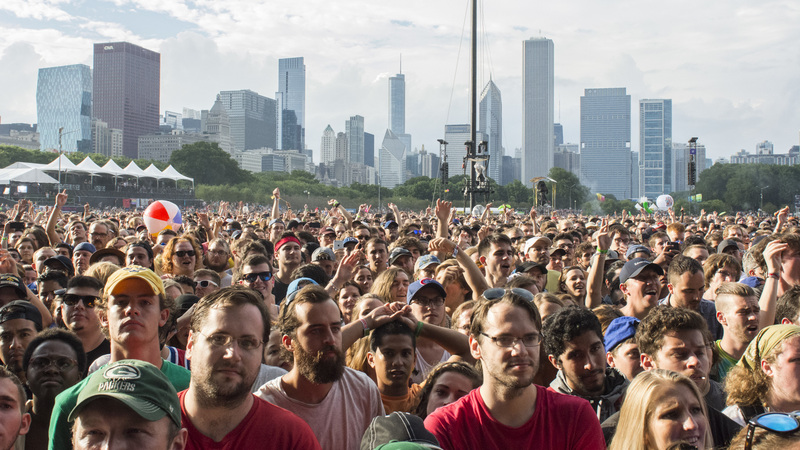 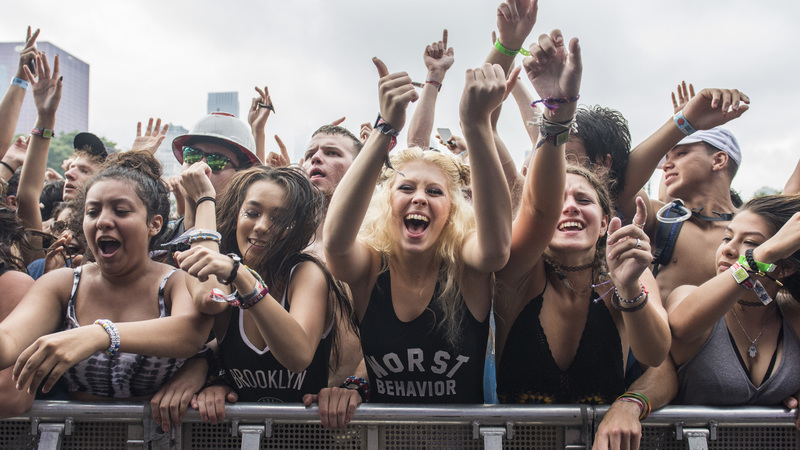 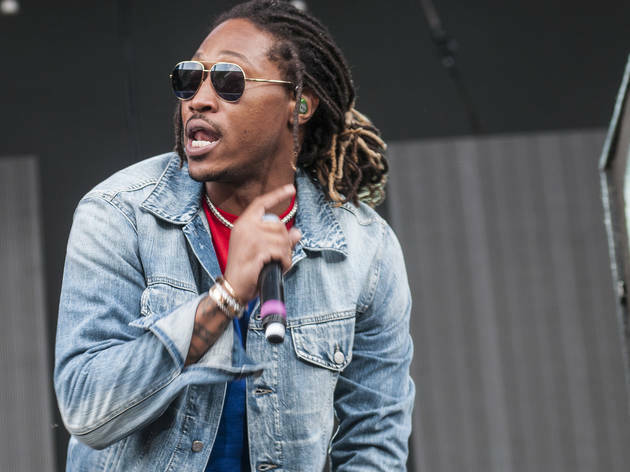 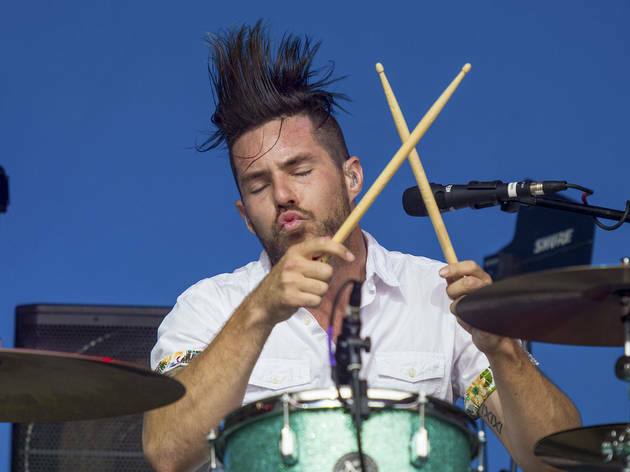 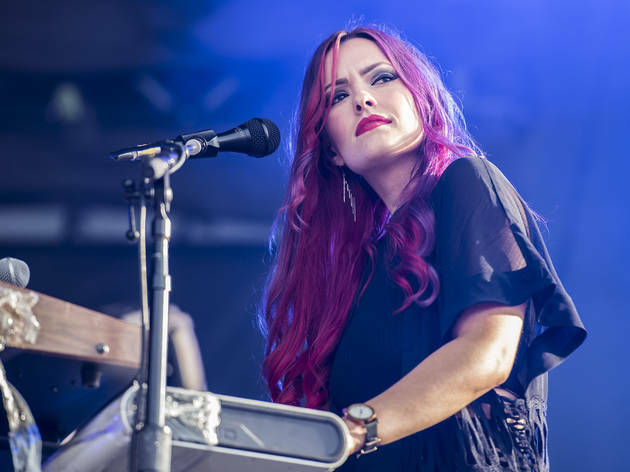 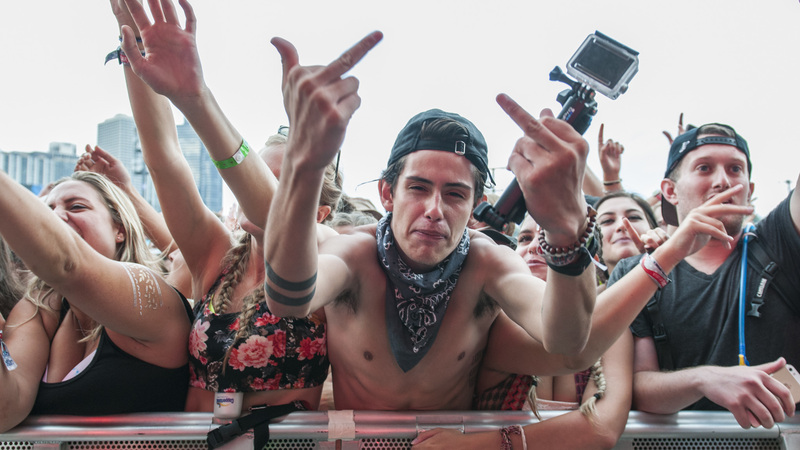 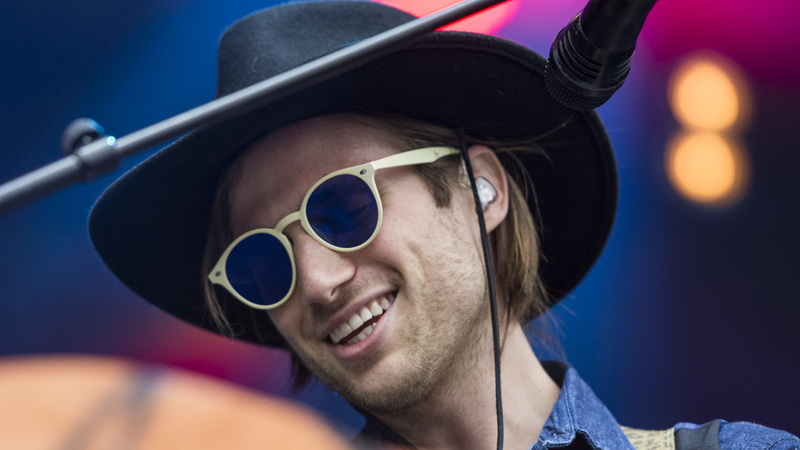 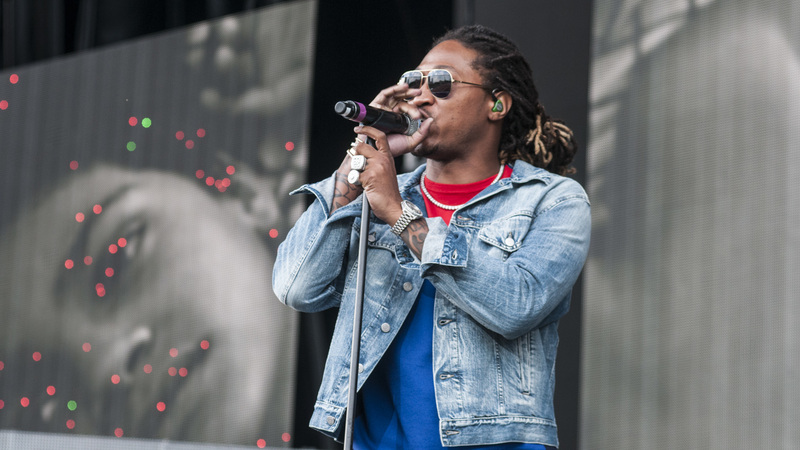 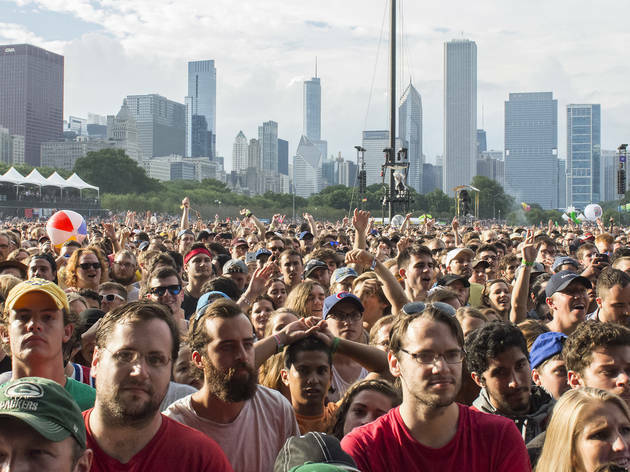 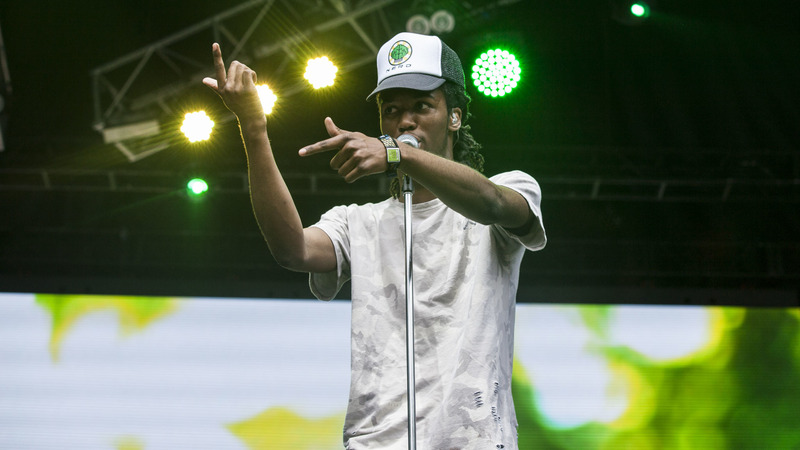 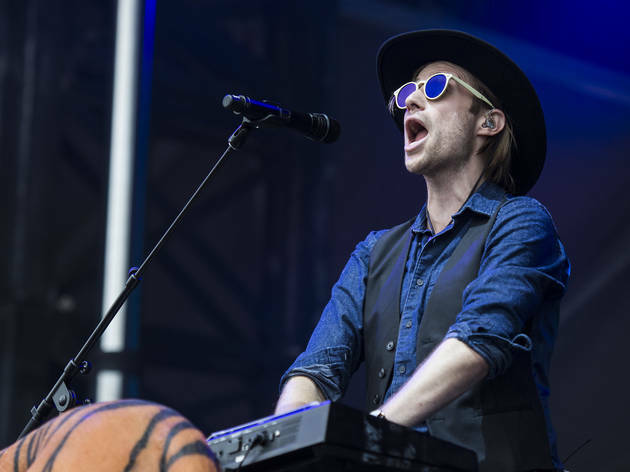 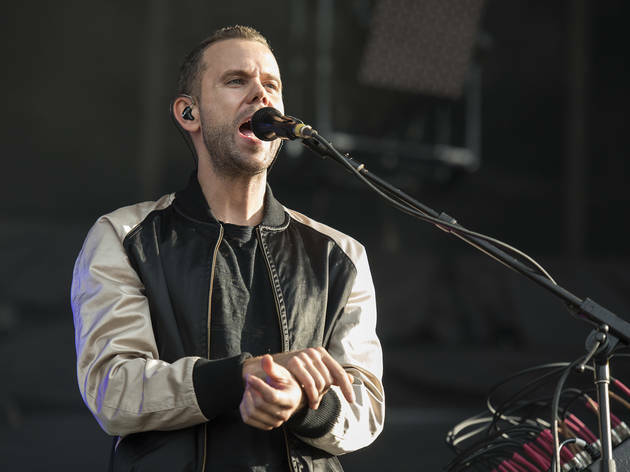 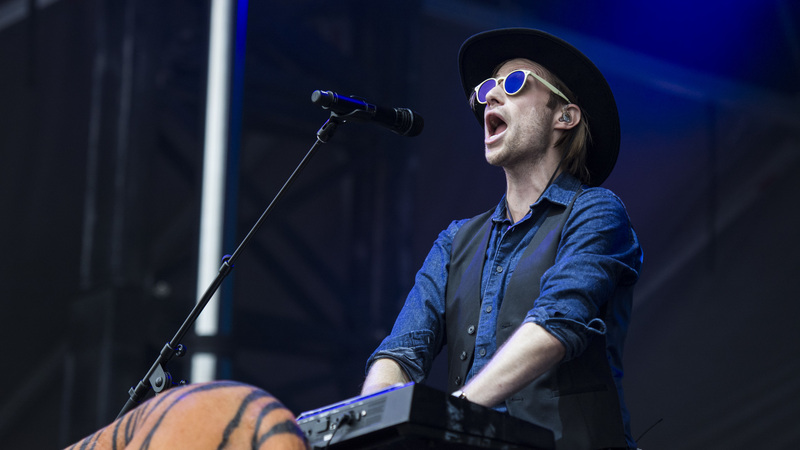 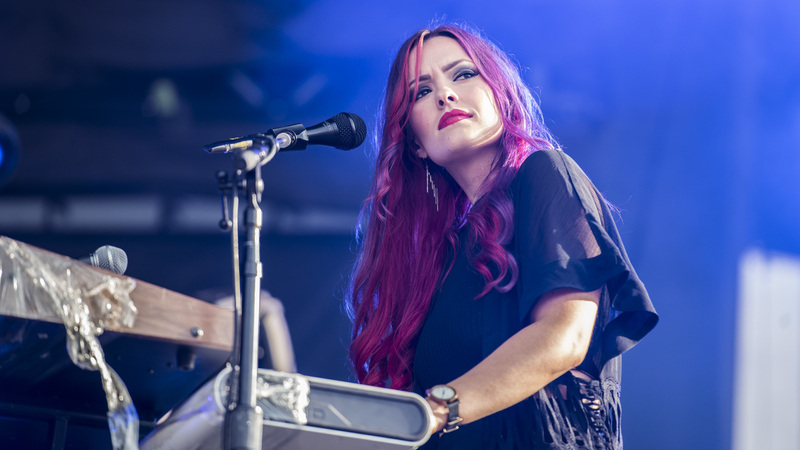 Crowds piled into the two main fields during the late afternoon to hear M83's cascading synth melodies and the woozy hip-hop of Future (who brought Chance the Rapper back to the fest for a performance of "No Problem"). 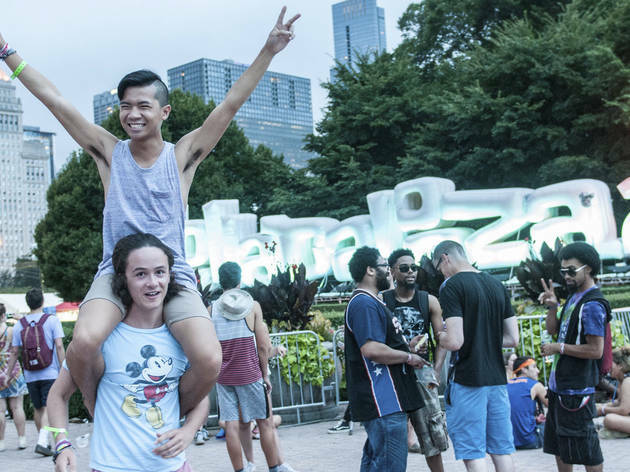 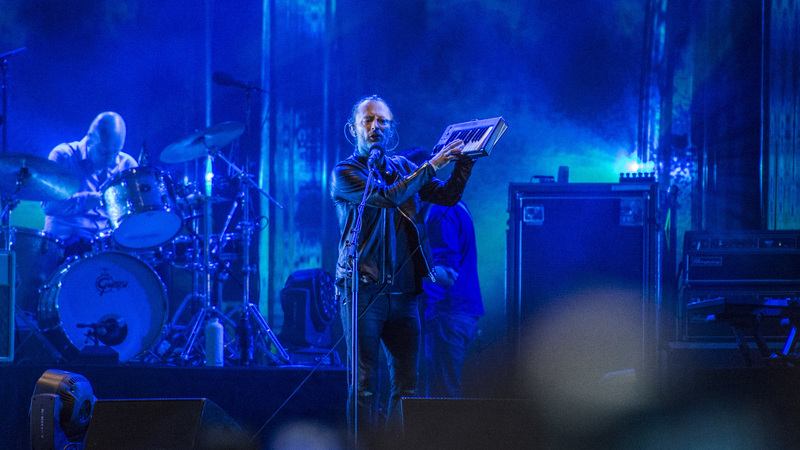 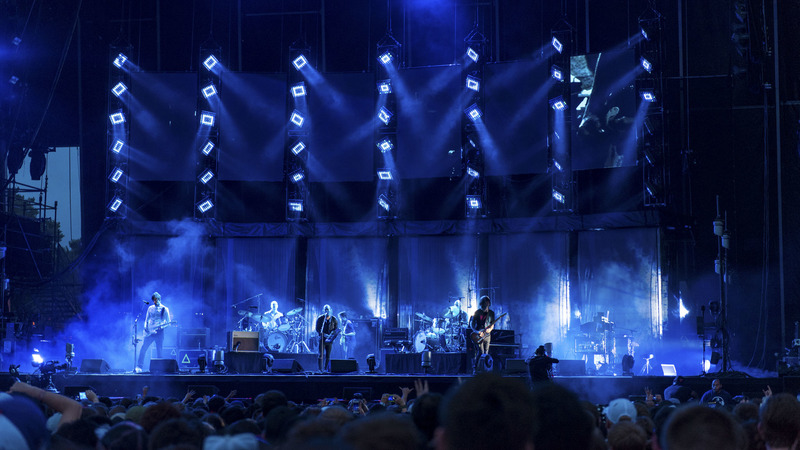 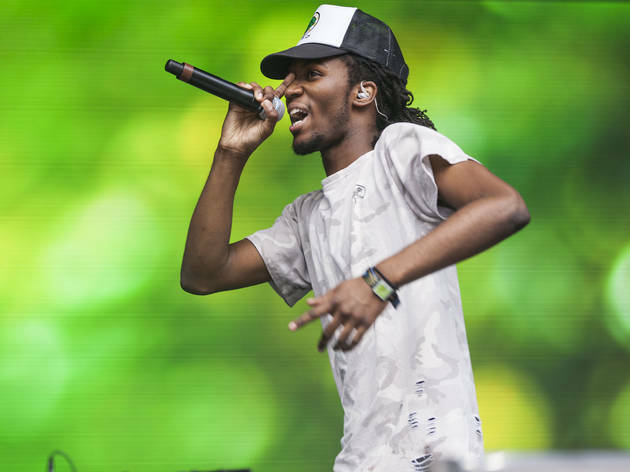 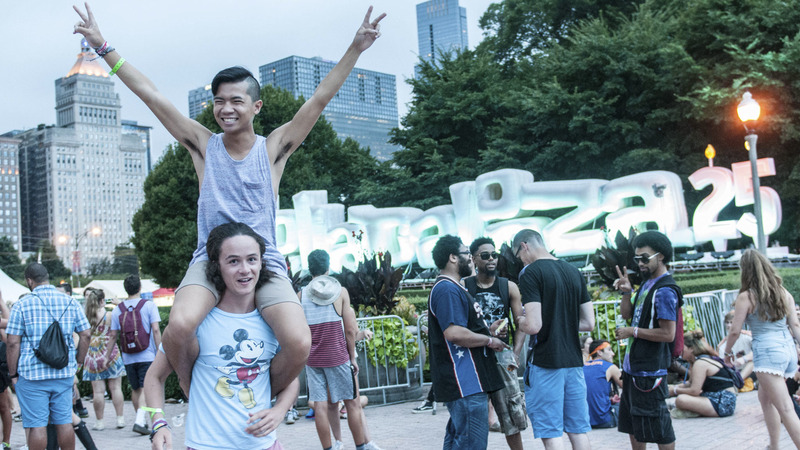 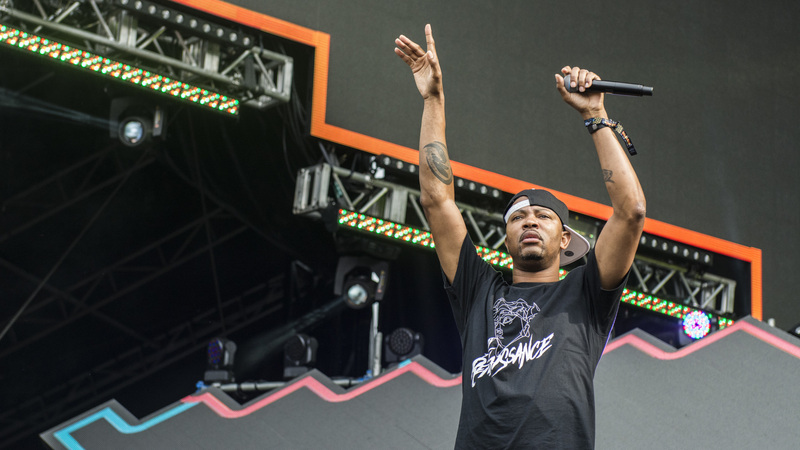 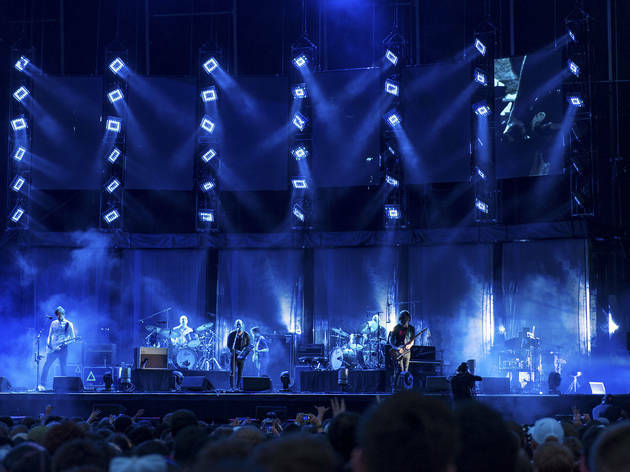 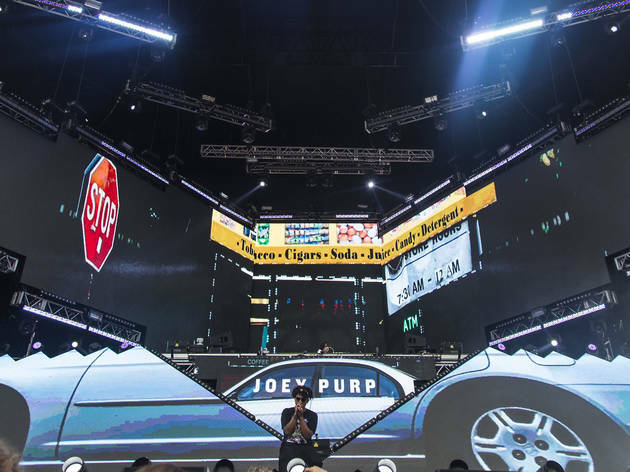 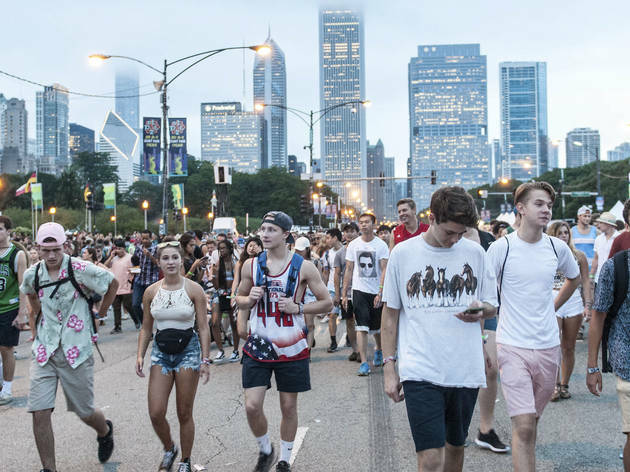 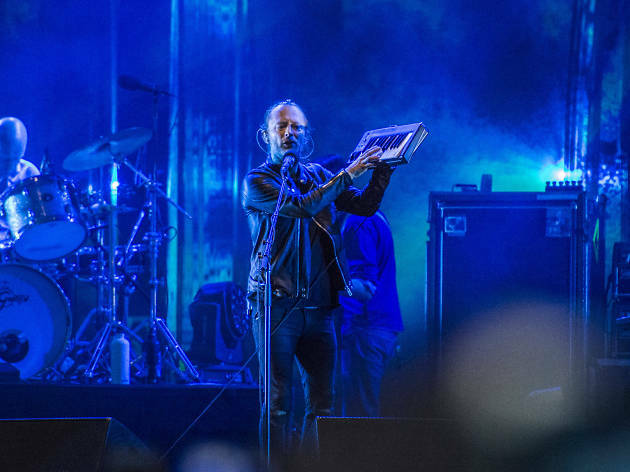 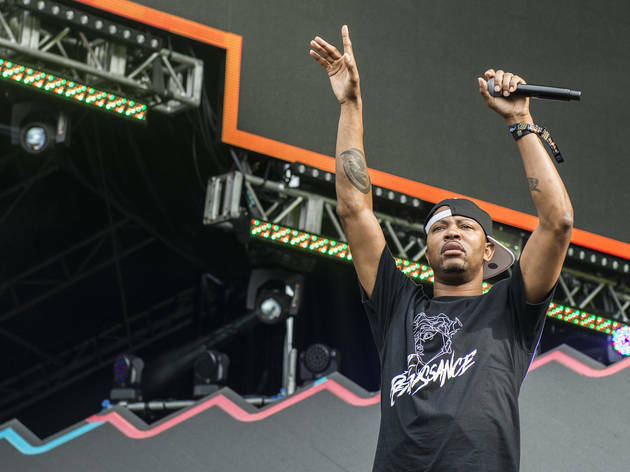 Climactic sets from alt-rock legends Radiohead and EDM heavyweights Major Lazer (who experienced not one, but two power outages) brought the night to an end, marking the halfway point of Lollapalooza's 25th anniversary celebration. 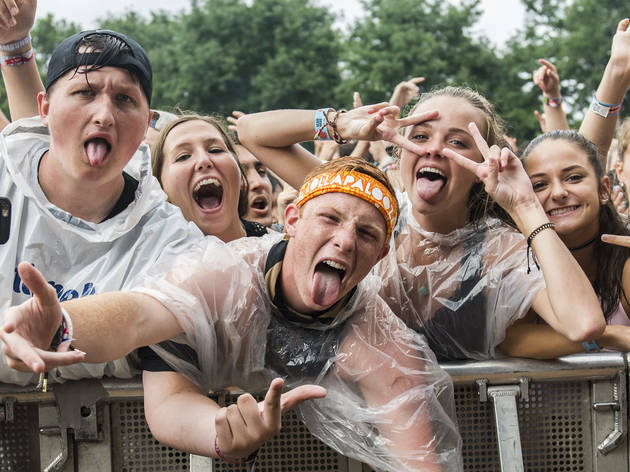 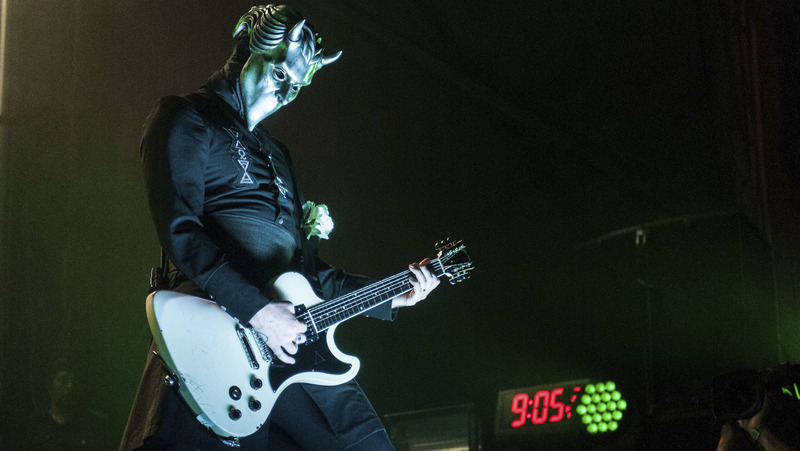 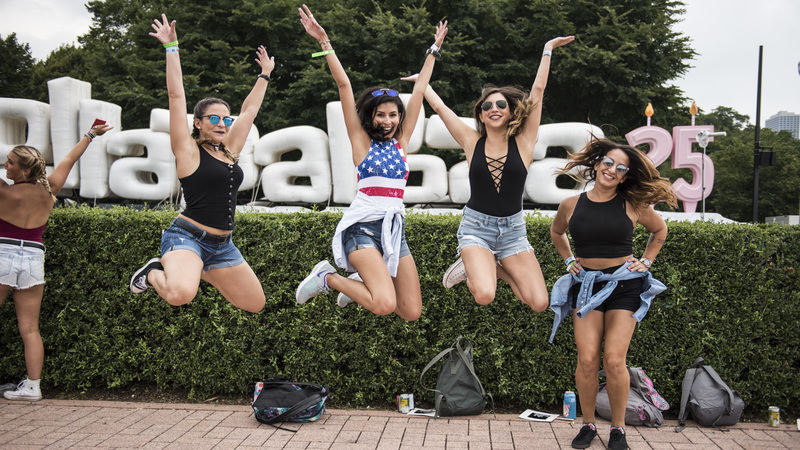 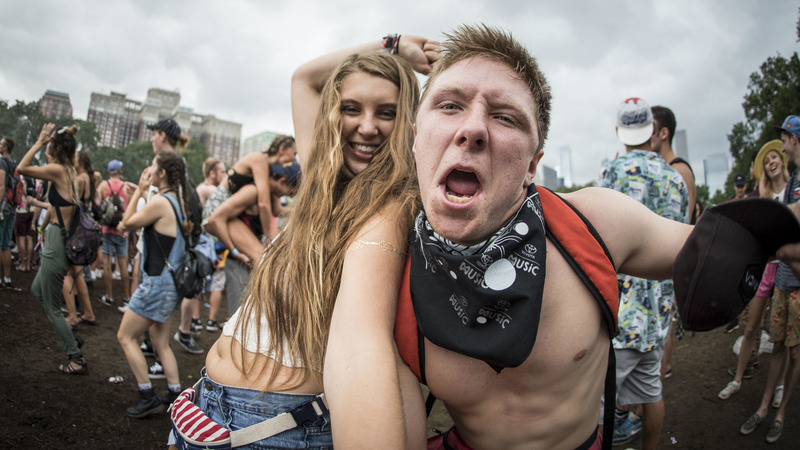 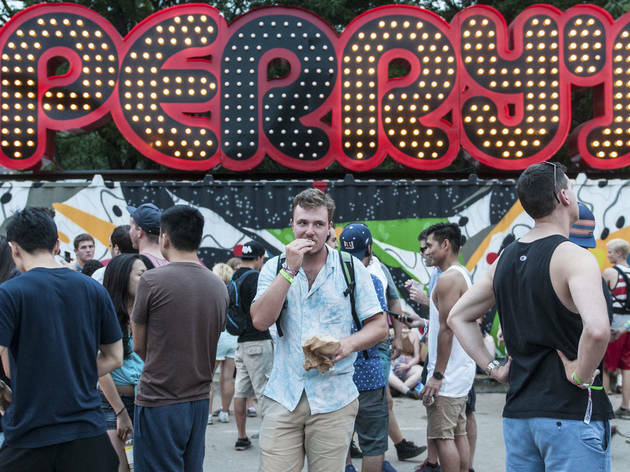 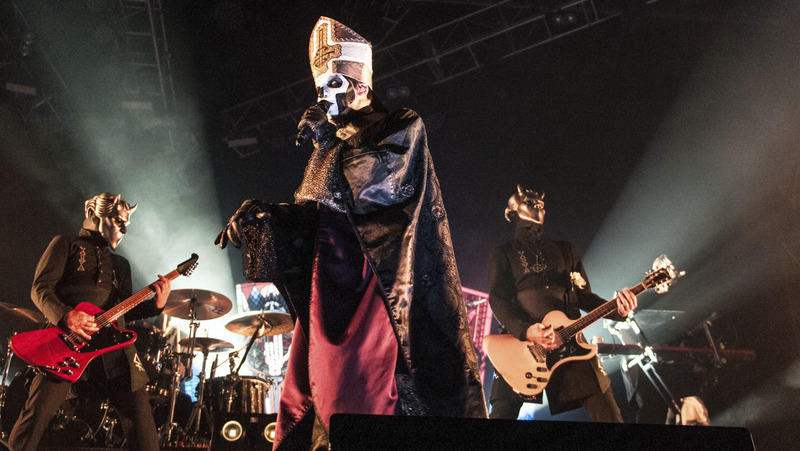 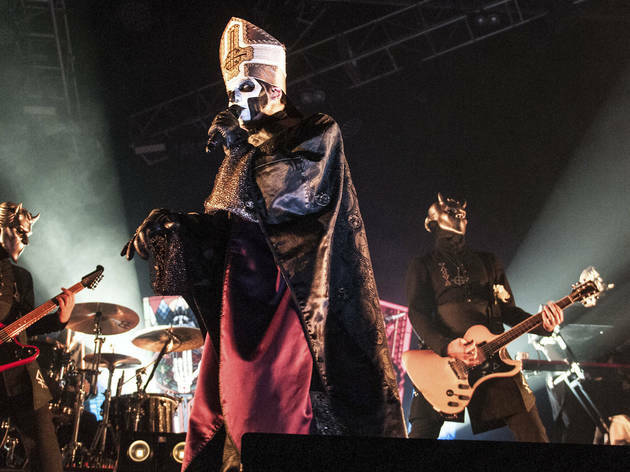 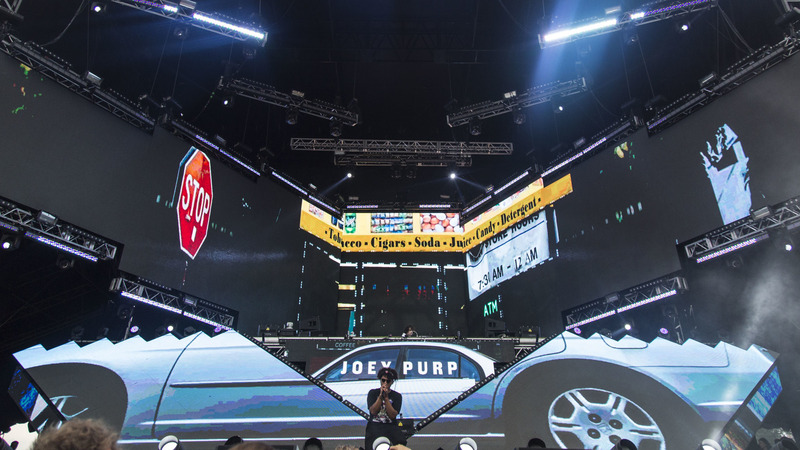 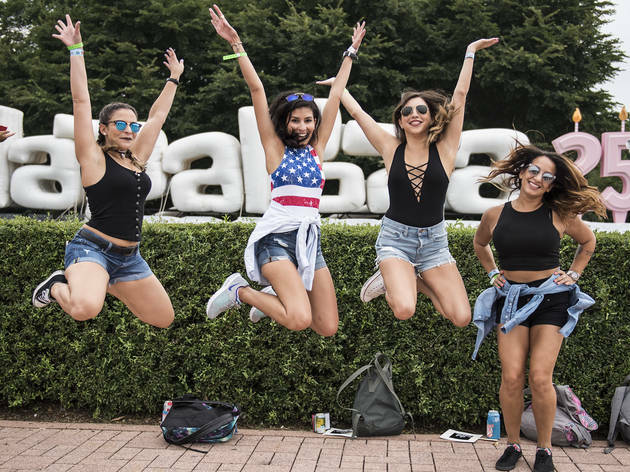 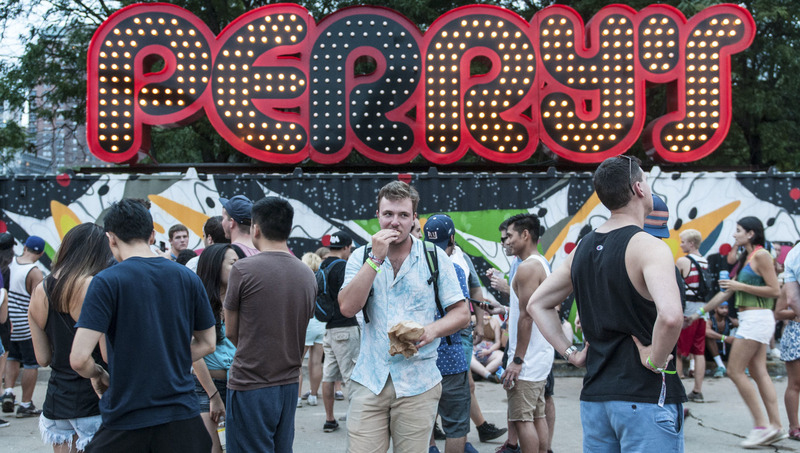 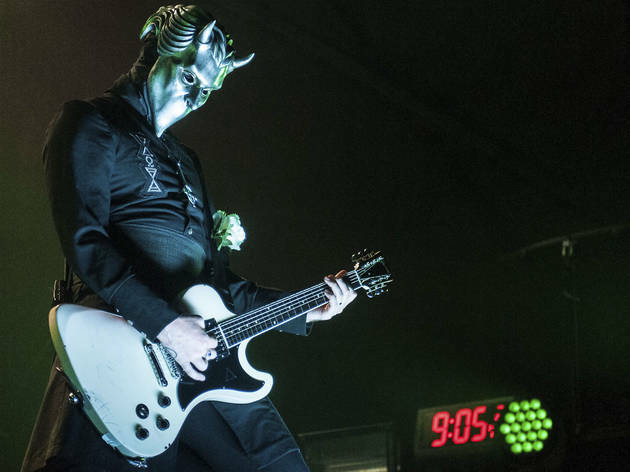 Take a look at our best shots from day two, including faces in the crowd and some of our favorite bands.